In the event of an accident, the first call made to figure out repair options is to a vehicle owner’s insurance company. This process is dreadful for people for multiple reasons. Knowing as much of the story and the options you have is paramount in getting your vehicle back on the road in the safest and best shape possible. At Classic Coachwork, we are on your side to help you understand the key elements in dealing with your Insurance Company.  Classic Coachwork is here to help make your claims process as smooth as possible. We accept and will work with all Insurance Providers. Below are some helpful answers and explanations to arm you with the knowledge needed during the claims process. If you need any further clarification or have additional questions, please don’t hesitate to call one of our locations. When my car gets towed, will it cost me more money to have it towed to Classic Coachwork as opposed to the recommended shop by my Insurance Company? No. It will not cost you more money to have your car towed to Classic Coachwork. Your Insurance Company will cover the towing cost. Where should I have my Insurance Company look at my car? Wherever you decide. You are not at the mercy of your Insurance Company. If your car is driveable, they may suggest for you to drive to one or their claims centers or one of their “recommended” body shops (more on that later) to receive an estimate. The truth is, that BY LAW, the Insurance Company must answer to your choice of where you want to get your initial estimate, whether it be at your home, work, or Classic Coachwork. If your car is in a non-driveable condition following an accident you can choose where you would like your car towed. Your Insurance Company cannot make you choose where to have your vehicle towed. They cannot force you to have your vehicle towed to one of their claims centers or preferred repair shops. If your Insurance Company is pressuring you to do this, call us at Classic Coachwork and we will speak with them. Do I need to get multiple estimates, am I required by my Insurance Company to do so? No and no. You can get as many or as little amount of estimates that you choose. I know that it can really be a hassle to deal with my insurance claim, I’m busy, how will Classic Coachwork help me during the repair process? We work you through this. At Classic Coachwork, we’ve been dealing with every Insurance Company and every type of repair you can think of since our inception in 1978. While you may have to only deal with 1 claim your entire life, we deal with them every single day. We will do everything in our power to aid you through the Insurance Claims process as well as the repair of your vehicle through phone calls and email updates. My Insurance Company recommended an auto body repair shop, do I have to bring my vehicle there? NO! This is one of the biggest misconceptions when it comes to auto body repair. BY PENNSYLVANIA STATE LAW YOU ARE FREE TO TAKE YOUR VEHICLE WHEREVER YOU CHOOSE. (d) No appraiser or his employer shall require that repairs be made in any specified repair shop. Here below is a video of Pennsylvania Senator John Rafferty addressing Insurance Commissioner Joel Ario about Insurance Companies “putting the strong arm on people” to use their preferred shops. Why would I bring my car to be repaired at Classic Coachwork instead of using a shop that my Insurance Company recommends? You are going to use Classic Coachwork because you know that you will be getting the best in quality workmanship for your auto body repair. As independent repair facilities, safety for our customers is the top priority in our repair process. We do the repair right, the way it should be. We don’t let the Insurance Companies dictate how we should fix any vehicle. We have your best interest in mind at all times and repair each vehicle as if it were our own. Classic Coachwork has many employees that used to work for Insurance Companies so we know first-hand about the tactics they employ to steer people to one of their “preferred” shops. Now for the real reason….$$$. Are you shocked??? Now you might have already been aware of that fact but maybe didn’t fully understand why. Well here’s why. That last sentence is referred to as “Severity”. Severity is a dollar amount that Insurance Companies place on their DRP’s that they must maintain in order to stay in their repair network. So instead of worrying about fixing your car to the best of their ability, DRPs are thinking about the cheapest and fastest way they can “fix” your vehicle to appease the Insurance Company, not you. Here’s a scary thought. Say you are getting your vehicle repaired at a DRP and your repair will be ready by the end of the month. Now say that this particular DRP was in danger of being dropped by the Insurance network because of that months high repair costs. You better believe that their focus is on rushing the job and using the cheapest materials. Because most important to them is appeasing the insurance company. Not the customer. Do you think they care the SUV they are “fixing” is used to drive 3 kids to school or practice or dance recitals? Or that the car they just repaired is going to be used to drive a woman 9 months pregnant to the hospital in the next few weeks? Or is the priority to stay in the pocket of the Insurance Company? When speaking with my Insurance Company regarding my claim and repair, I inform them that I want to take my vehicle to Classic Coachwork. Their immediate response is that this will cost me more money, is this true? Any shop outside of an Insurance Company’s “network” is going to be perceived as more “expensive” (see above Q&A as to why). There are many factors included when having your vehicle repaired, especially when it comes to quality. Just because someone else is “capable” of performing a repair doesn’t mean the job is properly completed with the necessary certifications, skills, latest technologies, or the correct parts. Most importantly, does the repair facility have your best interest in mind? At the end of the day you want the job done right. And at Classic Coachwork, that’s exactly what we do. As independent body shops, Classic Coachwork doesn’t allow Insurance Companies to dictate how we do what we do best. Insurance Companies are responsible for bringing a vehicle back to “pre-damage” condition, regardless of where it gets repaired. Our preference is to use OEM parts for a repair because we believe they are the best thing for the customer and the vehicle. If you have an OEM provision in your insurance contract or your insurance provider specifies the use of OEM parts then you should be covered. If not, then you may be responsible for the difference in the cost of the part(s) should you choose to have us use OEM parts for your repair. Are OEM parts more expensive than aftermarket or salvaged parts? Yes, but not as much as you think. And ask yourself, “Does the cheaper cost outweigh the benefit of safety?” (See the “Will my Insurance Company suggest using OEM parts for my repair?” two questions down for more information on that). But we do everything we can when dealing with Insurance Companies to have them cover all or as much as possible of the repair for our customers. Ok I received my estimate from my Insurance Company and I am a bit worried. I don’t know much about cars or car repair, but it seems like the estimate and check that they wrote is quite low and that there is more work involved than they have listed. This is the number 1 question that we receive from customers. Know this: It is called an estimate for a reason. 99.99% of the time this initial “estimate” and written check NEVER reflect the final payout from the Insurance Company. When doing their assessment, Insurance Companies are looking at the exterior/visible portion or your vehicles damage. The estimate and check being written is based on this initial view even though the claims adjuster knows full well that there is more damage below the surface. Even the most clueless of drivers know that an automobile is more than just sheets of metal, glass, and an engine. There are springs, brackets, levers, and numerous other mechanisms involved in a vehicles construction. Think of it this way. Say you experience a bad ankle injury. You go to a doctor’s office. The doctor sees that you have bruising and swelling. Does he just say take 2 and call me in the morning? No. He suggests an X-ray to determine bone damage. Does it stop there? Usually not. Then there is an MRI to determine ligament damage. Make sense? It’s the same thing with your vehicle. Just because you see your car “bruised” doesn’t mean there isn’t bone and ligament damage. The full damage (and cost) cannot fully be determined until the vehicle is put up on a lift with the damaged portion initially disassembled and rigorously inspected. At Classic Coachwork, we call your Insurance Company after we have done this, they then send their representative out again to reassess the damage and provide a “supplemental” check, an additional payment to cover further damages and repair. And don’t think that there is only 1 supplemental check. Once the repair process begins and all parts get removed from the vehicle their could potentially be more damage, thus causing us to call your Insurance Company again to reassess damage and write another check. Will my Insurance Company suggest using OEM parts for my repair? You should first review your Insurance policy and/carrier to see if the use of OEM parts is noted in your policy. Production Quality – Another factor to consider when choosing aftermarket parts is the environment in which that part was made. Different countries have different standards of workmanship. To save money, aftermarket manufacturing is done in countries with less quality control in the production of a part. The result being a sacrifice in quality. With the vast array of aftermarket parts available, how will you really know where your replacement part(s) are coming from? Materials – Another money saving move made by many aftermarket parts manufacturers is the use of cheaper material in their parts. OEM parts are made to the exact same specifications that came when you first purchased your vehicle. See the above video again for the result of cheaper materials. Fit – When you are buying in OEM part, it is going to be constructed to the exact specifications of your car, meaning proper screw hole alignment, seam placement, and impact crash rating. These tend to vary on aftermarket parts and can require adjustments that will affect your final repair. In some cases the part may not fit at all requiring a new one to be ordered and delaying your repair. At the end of the day it is your choice as to what parts you would like for us to use to repair your vehicle. At Classic Coachwork, our preference is always to use OEM replacement parts for the above stated reasons, but we work for you and will comply should you choose aftermarket or recycled parts. Are OEM parts more expensive than aftermarket? Yes, but not as much as you think. And can you really put a price on you or your family’s safety? My Insurance Company says that it will take longer for my vehicle to be repaired at Classic Coachwork as opposed to one of their facilities. Is this true? How does the Insurance Company know how long our job will take? They are professional check writers, not the professionals. Classic Coachwork is able to keep a comprehensive amount of parts at our shops to accommodate the speed in which we get the car back to our customers. There is no reason or advantage for us to keep a vehicle longer than it has to. In fact, we actually LOSE money the longer we have your vehicle. Remember, we don’t deposit a single penny for your repair until you pick up your vehicle. My insurance company says that if I take it to one of their recommended facilities that there is lifetime warranty on the repair work. Does Classic Coachwork offer the same type of warranty? The parts are warrantied through the manufacturer of the part, whether it be an OEM or aftermarket. While Classic Coachwork guarantees our work, we do not specifically warranty the part used. HOWEVER, should there be an issue with the part used, we will work with you, your Insurance Company, and wherever the part came from to ensure everything works out. My Insurance Company says that I can’t take my car to Classic Coachwork to be repaired, what should I do? Call us immediately and we will call your Insurance Company. It is illegal for an Insurance Company to refuse to allow you to take your vehicle to the shop of your choice. Ok, my car is getting repaired at Classic Coachwork, can you help me find a rental car or should I have my Insurance Company handle this? Yes! Through our relationship with Enterprise, we can assist you in making the necessary arrangements to ensure that you are equipped with a rental car. What if my insurance company deems my vehicle to be totaled? If your car is towed to Classic Coachwork and your Insurance Company decides that your vehicle is totaled, it is up to you and your Insurance Company to determine next steps. We can provide you with advice and answer any questions that you may have.